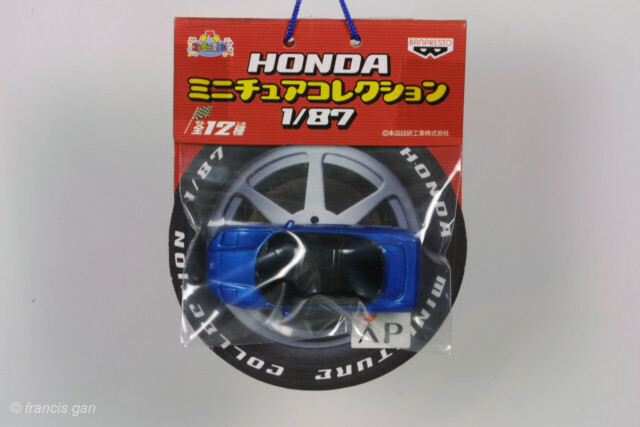 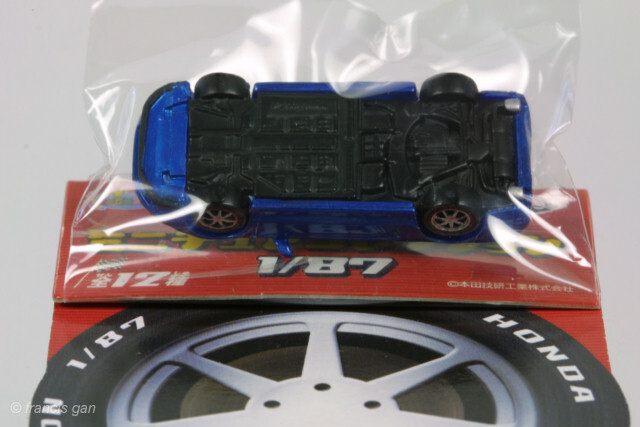 Ban Presto released a set of Hondas in 1:87 individually packaged in small plastic bags with a red card back. 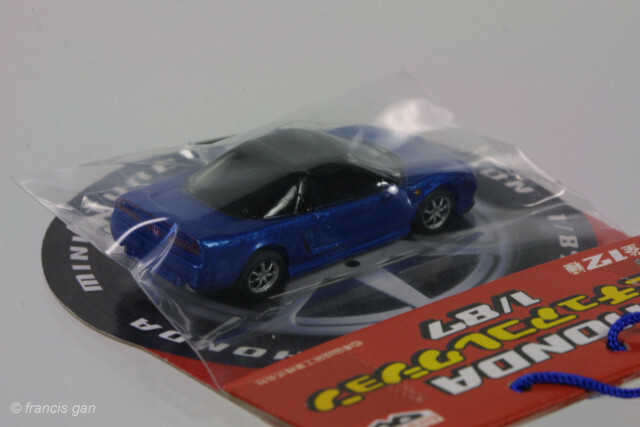 The NSX's were available in blue and in red with black roofs. 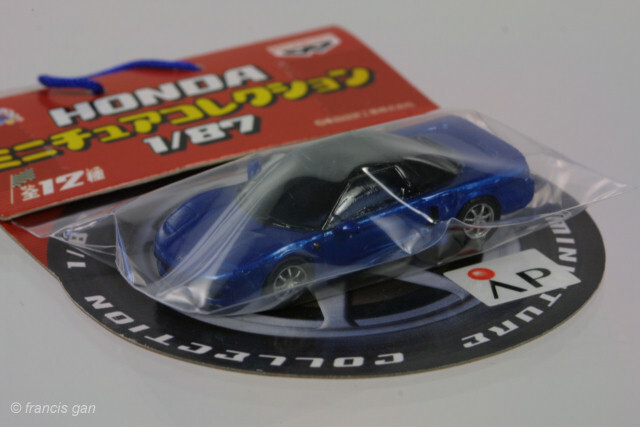 The exterior detail is on par with the best 1:87 models, though the windows are blacked out to probably hide a non-existent interior. 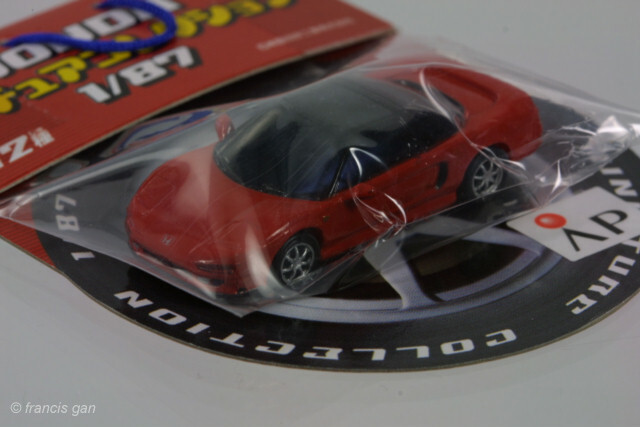 The wheels are 7 spoke to mimmick the 1995+ NSX wheels. 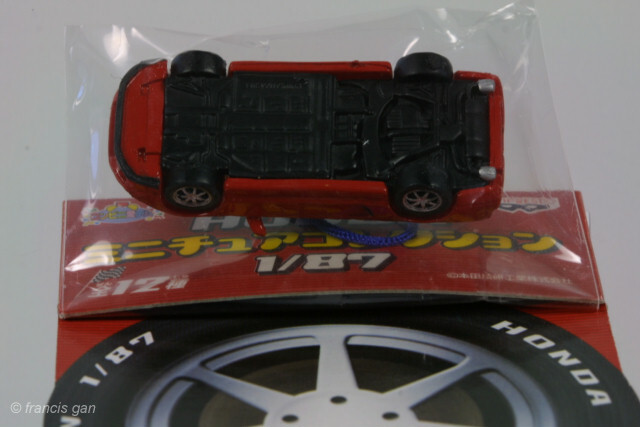 The tail lights are painted red and "H" logos painted on the front bumper and rear tail light. 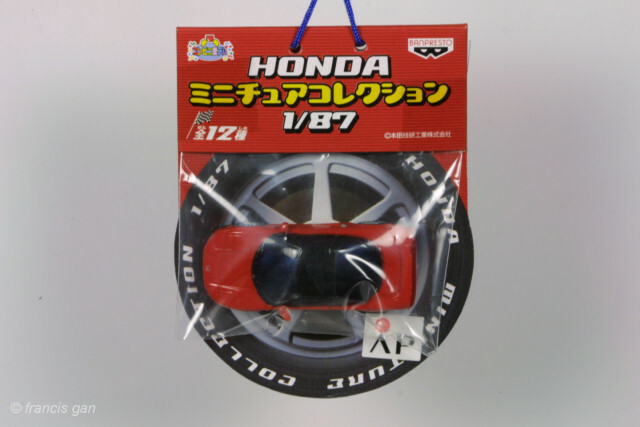 Oval exhaust tips are painted silver though the rear valence is left body colored. 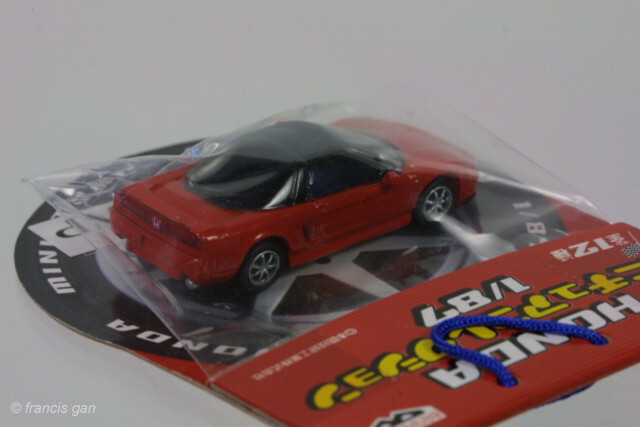 Side mirrors and relatively correct undercarriage detail make this a good 1:87 presentation of the NSX.